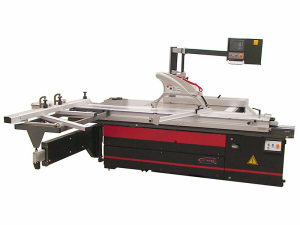 CNC Automation’s new “SYNERGI” line of manual and numerically controlled programmable sliding panel saws. The new and innovative “S Series” sliding table saws are now available in Canada. 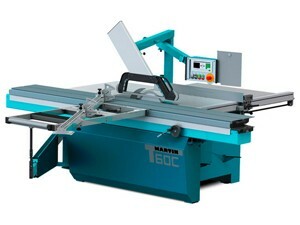 Martin saws offer… smoothly running saw blade, smooth and precise guidance of the sliding table and precision rip fence; all fundamental features that woodworkers see as important aspects of a high-quality sliding table saw. 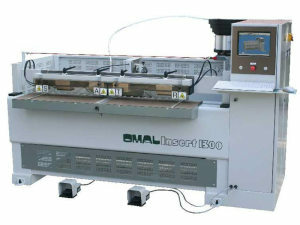 Horizontal drilling, glue injecting and dowel inserting machine. Selection of the working references (left piece or right piece) are done with the CNC. 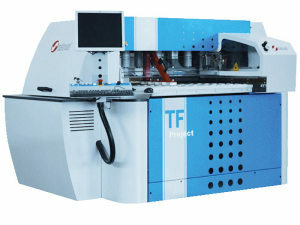 The special software is very easy to use and makes the machine very versatile. The selection of the offset of tools for inserting and for operations on different left and right references is automatic. New through feed drilling and grooving machine with 3 axis control and the option of adding a router head to machine slots and portals. The drill operates from below the workpiece to maintain accuracy and aid waste management. 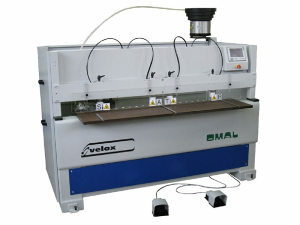 A perfect entry into CNC production or to add to an existing CNC.